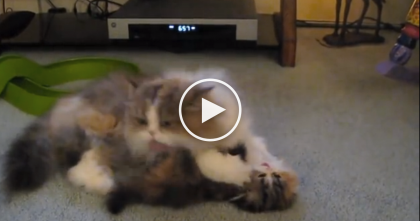 This adorable kitty is confusing his owner, but thankfully this isn’t weird at all. Most cats actually do this because it reminds them of when they were a kitten, and it’s SOO cute to watch! 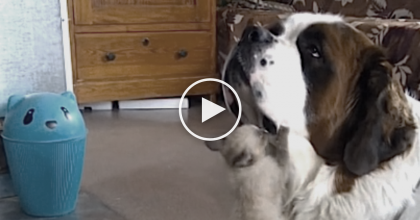 When this kitty goes to sleep, the first thing on his mind is hard to ignore as you’ll see in the video – I think he misses being a kitten. 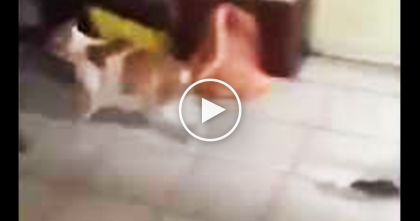 He isn’t running to catch prey in this dream, he’s living his life as a kitten, SOO CUTE. Simon’s Cat Tries To Help With Spring Cleaning, But At The End…You Can’t Help But Laugh At THIS! 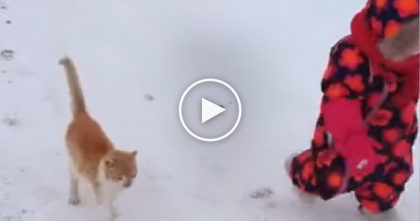 Kitty Is Following His Little Human In The Snow, But Then All Of A Sudden… Whoops! !